After suffering back-to-back defeats at the hands of the UBC Thunderbirds, the Bison women’s hockey team looked for redemption against the University of Calgary Dinos. Calgary managed to weather the storm of the Bisons’ offence for most of the game, but fell in overtime 1-0. The Friday matchup was a goaltending duel. 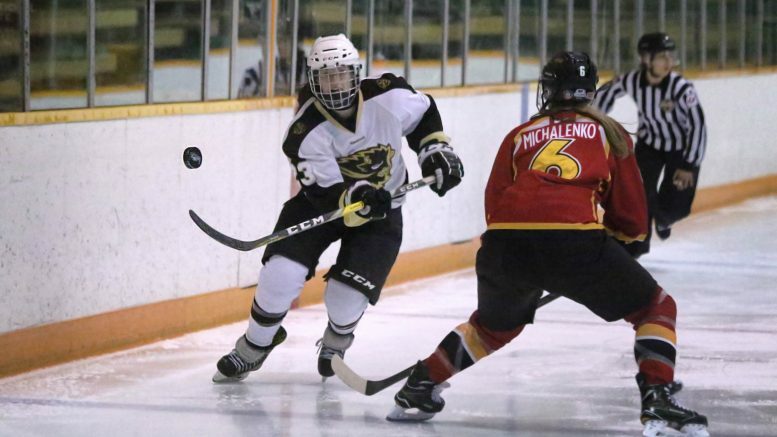 Kelsey Roberts kept her team in the game and stopped 29 of the 30 Bison shots, but Rachel Dyck stood tall for the Bisons and earned the shutout win over Roberts. Though the game remained scoreless throughout regulation, the Bisons had great chances throughout. The game almost didn’t reach the extra period, as Jordan Zacharias had a great breakaway chance with under four minutes remaining. Zacharias entered the Dinos’ zone and fired a shot past the Dino goaltender, but ringed the puck off the iron. The Bisons finally got a chance past Roberts in the extra frame. Alana Serhan got the puck and sent it cross-ice to Courtlyn Oswald who beat Roberts for the win. This was Oswald’s first of the season and gave Manitoba the win over Calgary 1-0. With the win Manitoba improved to 6-2-1 on the year, sitting just three points back of the first place UBC Thunderbirds. The hard-fought home win is welcomed by the Bisons after their back-to back losses at the hands of the same Thunderbirds last week. 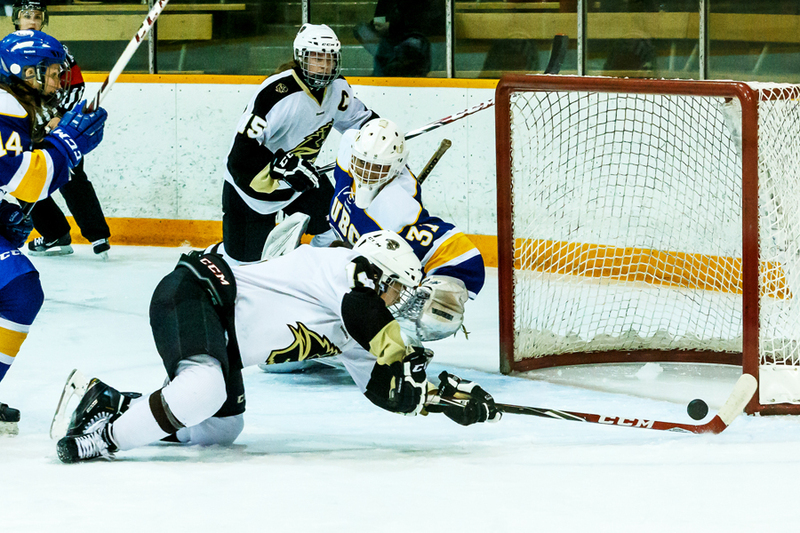 The Bisons will look to get another in the win column Saturday against the same Dinos squad in an afternoon matchup.